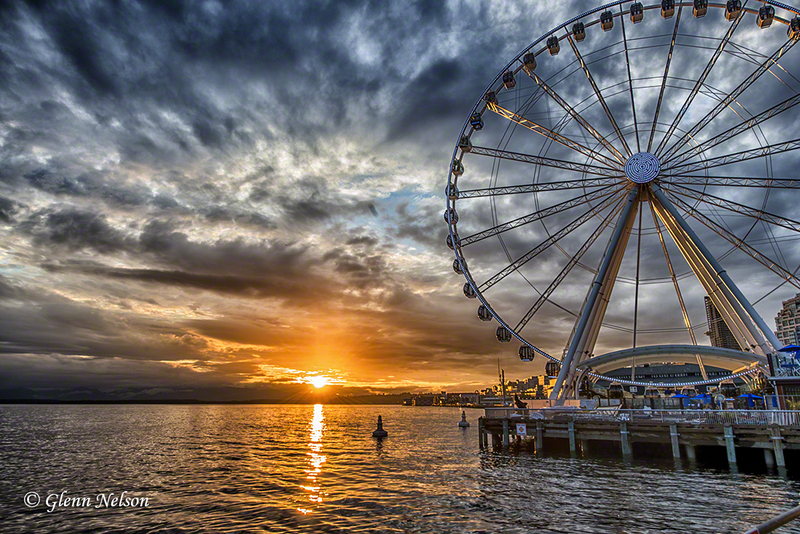 Sunset at the Seattle waterfront ferris wheel. I had arthroscopic surgery on my right knee recently, so I’ve been unable to go out with my big lens. While I recover, I figured I’d work on landscape photography. My surgeon said I could be out in nature with heavy gear at the end of August. Here are some of my first attempts at cityscapes. NOTE: Clicking on a photo will open a larger version in a separate browser window). This is a black and white version of the lead photo. 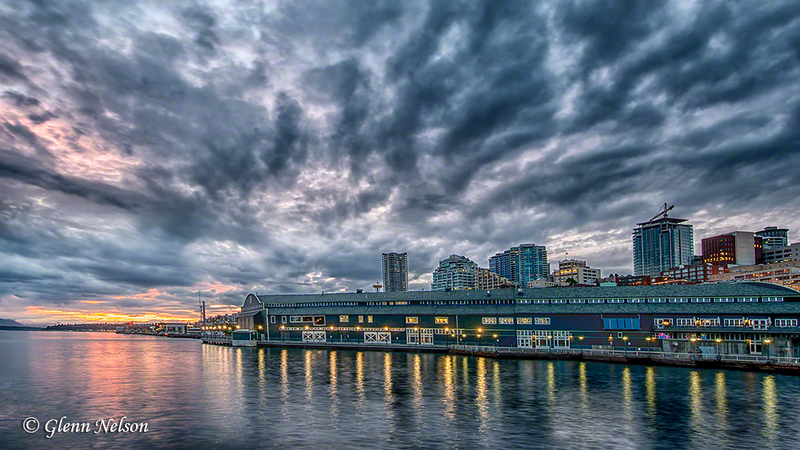 The sun setting on the Seattle Aquarium. 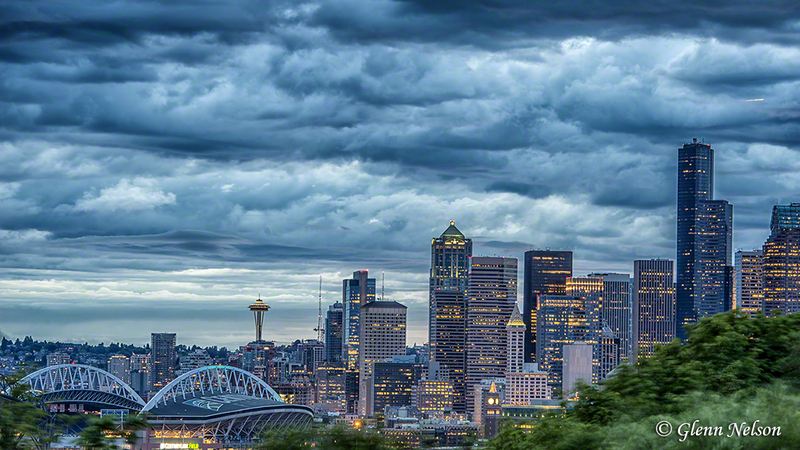 Downtown Seattle, with a storm looming, from Beacon Hill. I love your photos! I came across them doing a Google Image search for “Seattle black and white” and your ferris wheel caught my eye. I was wondering if I could use it for a Facebook cover photo for a group I’m an admin for called Seattle Women’s Ultimate. I would of course give you a photo credit. If not, no worries! Hi Alicia, thanks for the kind words. Sure, be my guest!